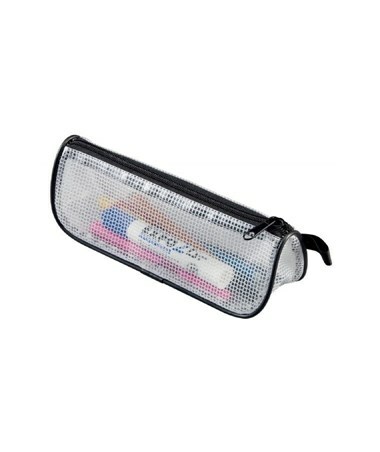 The Alvin Mesh Tool Case is an ideal holder for organizing and storing small drawing tools and other personal items including pens, erasers, glue, and much more. It comes in two sizes: 8 inches and 14 inches. The larger option is ideal for carrying standard 12-inch triangular scales and rulers. 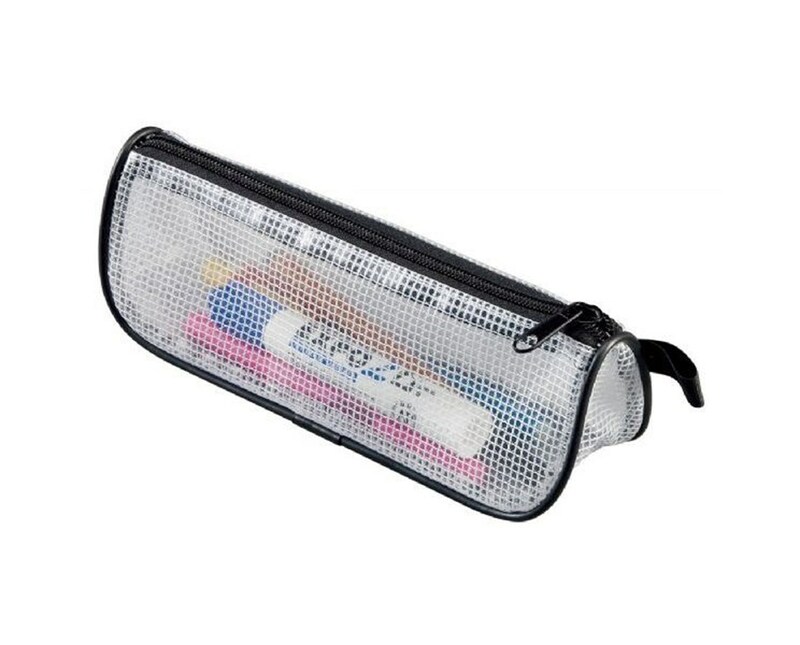 The Alvin Mesh Tool Case is a durable transparent vinyl bag with mesh webbing and trimming. It allows easy organizing and a quick inventory of contents with its see-through material. It features two-inch wide gusset to provide more room for storage. With its nylon zipper, it keeps things safe and secure. Please Note: Contents pictured are not included. The Alvin Mesh Tool Case comes in two different sizes. Please select your preference from the drop-down menu above.